In this interview, Diáne and I discuss Tibetan Singing Bowl Sound Healing and various aspects of sound as a healing modality. Diáne Mandle is of American and French descent and is an internationally known author, recording artist with Sounds True, Tibetan bowl practitioner, and educator, and the only state-certified practitioner/instructor in California. Diáne has given over 250 educational concert programs in 32 states as well as in India, Costa Rica, Mexico and St. Croix. She has been a frequent guest presenter at the Museum of Making Music, California State University San Marcos, The Golden Door, The Deepak Chopra Center, Rancho La Puerta, and KPBS. She is a featured expert in the upcoming video series: Tao—Living in Balance along with healers such as Dr. Wayne Dyer and John Gray. 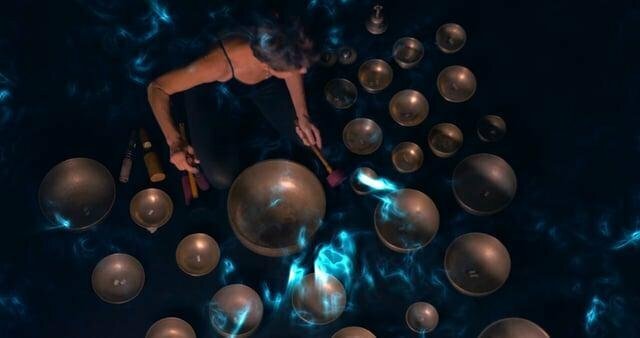 Diáne maintains a private sound healing practice in southern California where she also owns and operates the Tibetan Bowl Sound Healing School. She was part of the integrative therapy team at the San Diego Cancer Center and developed a successful sound healing program for incarcerated veterans with PTSD.